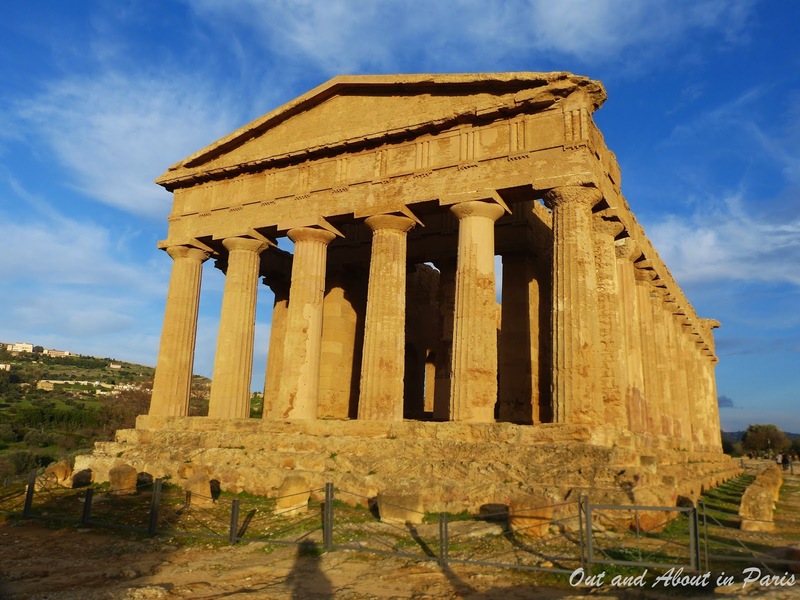 Looking back on our vacation in Sicily, I wish that we would have allocated more time for Agrigento and the Valley of the Temples. But, in all honesty, I feel the same way about the other towns that we visited. 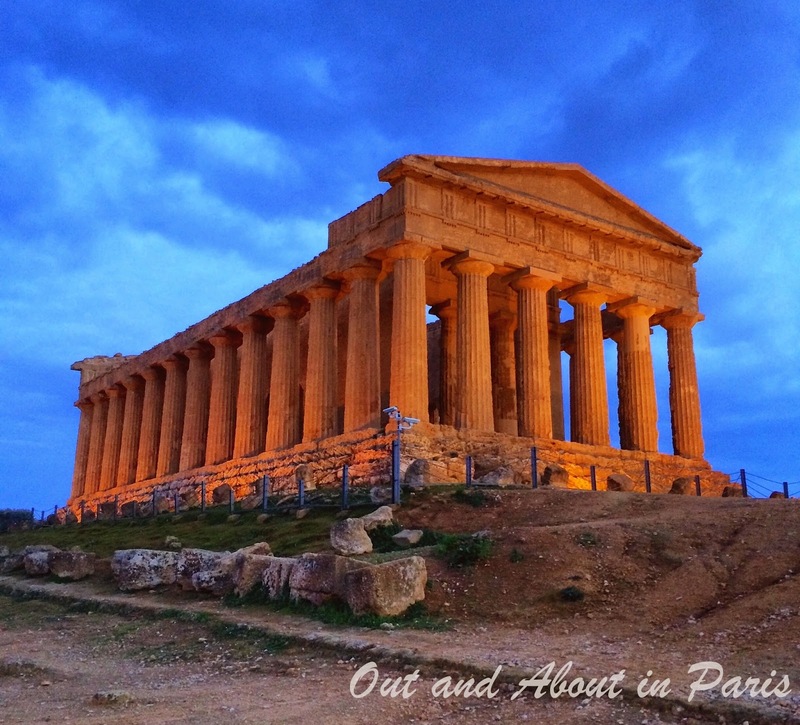 Ten short days just wasn't long enough to see all the treasures of this Mediterranean island. After climbing the white cliffs of La Scala dei Turchi (Stair of the Turks) in the morning and fortifying ourselves with savory Sicilian pasta for lunch, we arrived at the Valley of the Temples around 4:00 pm. The timing turned out to be perfect because most of the other visitors had already left for the day. Called "the most beautiful city of mortals" by Pindar in 470 BC, the ruins of the ancient town of Akragas are best viewed in solitude. That's when the past overshadows the present. The ancient Temple of Concordia in the foreground with modern buildings in the background. Even though the mortals who inhabited the town are long gone, there's something comforting in the knowledge that the temples they built on a ridge to serve as beacons for returning sailors remain. It's incredible to think that the largely intact Temple of Concord, the model for Unesco's logo, was constructed in 430 BC. What, if anything, will be left of modern civilization more than 2,000 years from now? 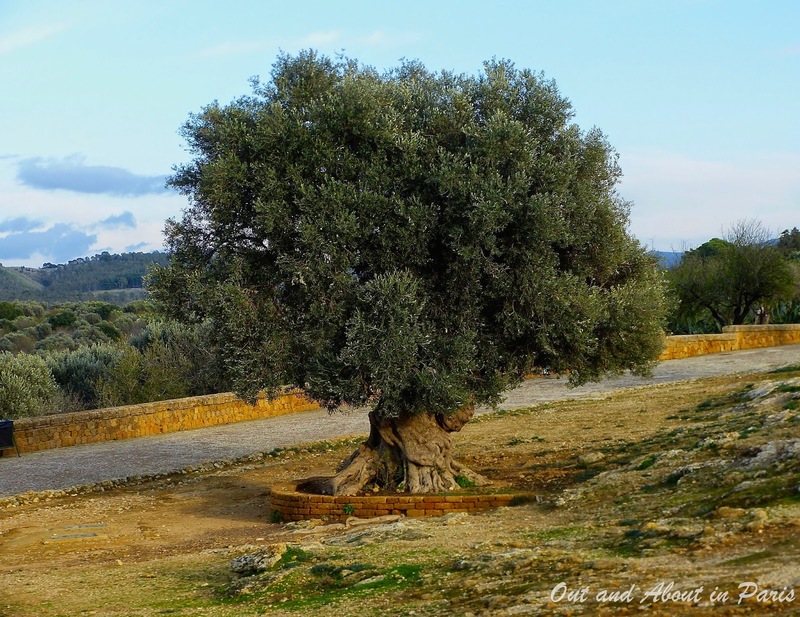 A gnarled 800 year old olive tree in the Valley of the Temples. 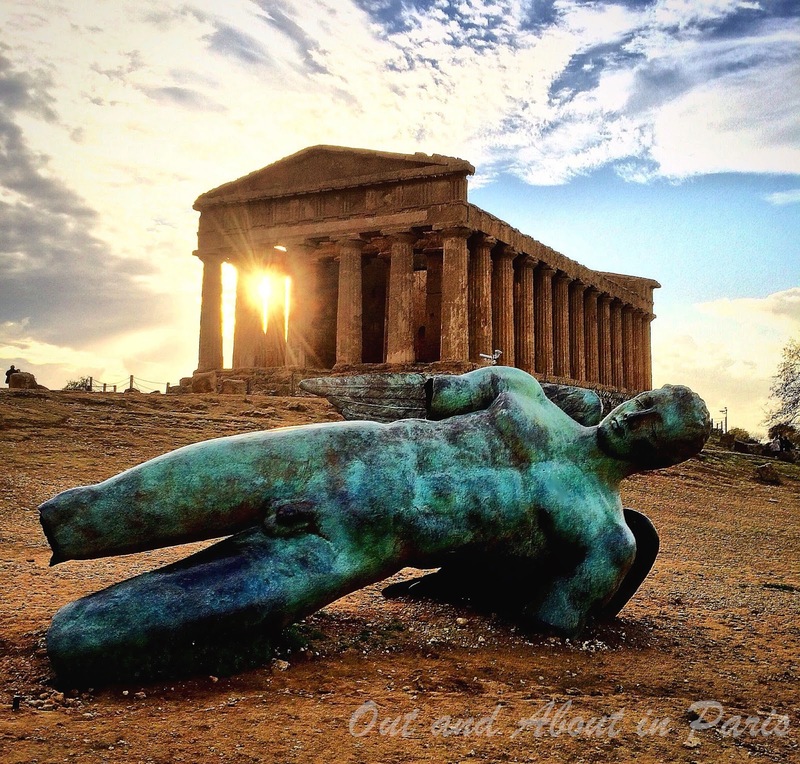 Agrigento, Sicily. The Temple of Concord, Temple of Hera and Temple of Hercules, which are the three best-preserved temples, are in the Eastern part of the 13 sq km archaeological park. 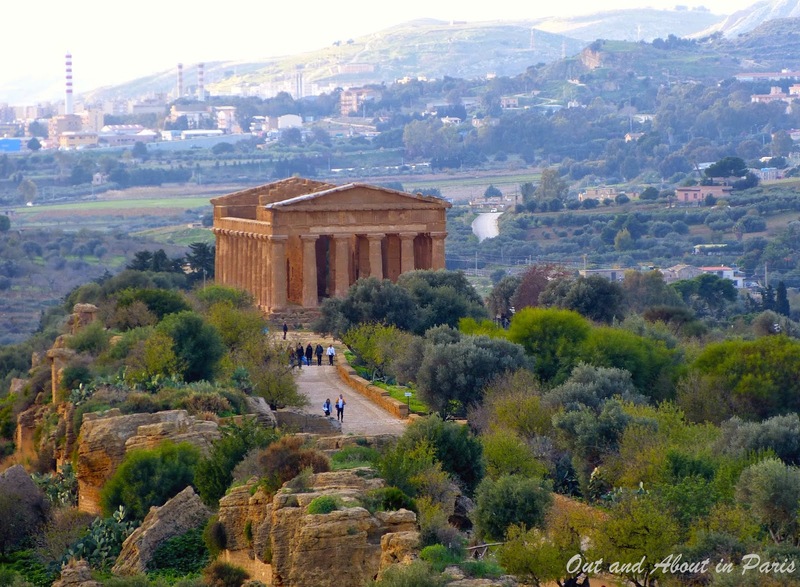 If you spend the night in Agrigento, which in ancient times was the fourth largest city in the world, make sure that your accommodation is in the old town on the hill, not in the ugly modern part below. Our B&B, Le Casette di Lu, was conveniently located right off the via Atenea. And, the breakfast was the best that we had in Sicily. 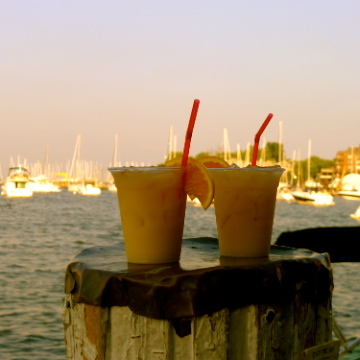 Mary Kay, bravo to your writing, but especially love, love the first photo in this blog - stunning is all I can say. Keep up the good work. We were there last Spring - isn't it magnificent.